Why do we exist? For patients. Every day, patients in the United States are being denied access to physician-led care. While most patients tend to be rightly skeptical that care will be “the same,” they may give in to the pressure from front-desk staff and agree to see a non-physician provider (NPP) – or they may not have a choice. This denial of patient access to physician care is wrong. But if we don’t do something about it, it will continue and only worsen. Why? Because while only 19,000 new physicians graduate from medical school per year, nursing programs are churning out nurse practitioners (NPs) at a rate of 23,000 per year, and Physician Assistants (PAs) graduate about 7,000 per year. Over time, the number of NPPs may eventually overtake the number of physicians in the United States. Hospitals and corporations are taking advantage of this flood of NPPs to replace physicians because they can pay NPPs less and because NPPs are more easily controlled by administrators. Many patients have no choice of health care provider, particularly those living in underserved areas, where health centers are incentivized to hire more NPPs. There is no substitute for the 20,000 hours (minimum) that physicians spend in training, particularly compared to the minimum of 500 hours that nurse practitioners are required to have prior to practice. Every physician is required to graduate from a formal, standardized medical school, and none of these are part-time, at night, or online. Every physician must complete an intensive supervised residency program before being licensed to practice medicine. Nurse practitioners, on the other hand, may receive their degrees from 100% online programs, and many programs are allowing non-nurses to become NPs within about two years with absolutely no prior nursing experience. NPs often claim that the difference between the nursing model and the medical model is that they take a “holistic” and patient-centered approach. As physicians, we are here to tell you that we also deeply care for patients. We also consider the whole patient: you, your families, and your communities. 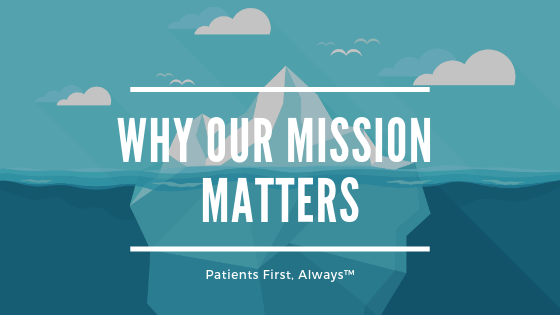 We care so much for our patients that we chose to sacrifice years of our lives, incur great debt, and take the most rigorous path which leads to the highest level of responsibility. We didn’t enter this profession lightly, and we won’t give up, even if our stance is unpopular or not politically correct. We won’t stop fighting for you, our patients.